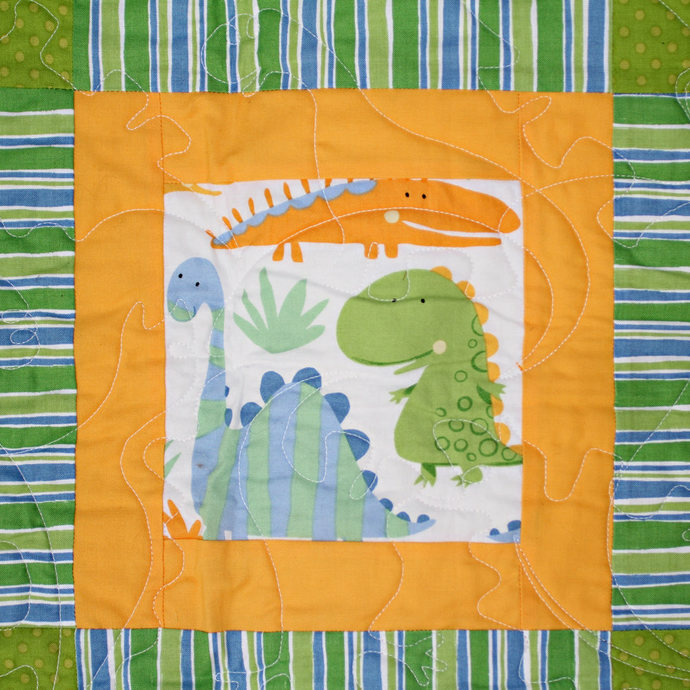 Small, one-of-a-kind handmade kid's whimsical dinosaur quilt in gender neutral shades of green, blue, and cheddar (gold) is suitable for a baby or toddler. 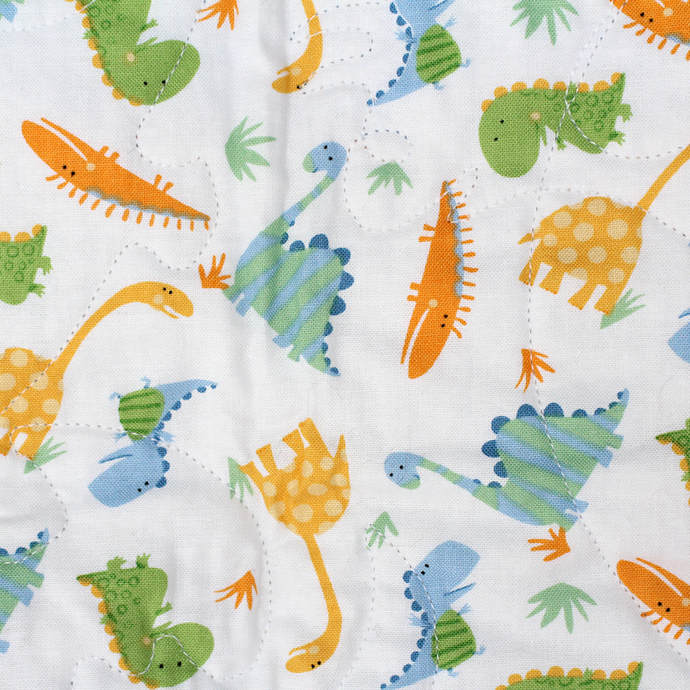 The dinosaur prints are from fabric designer David Walker's "Oh Boy" collection. This collection is out of print. 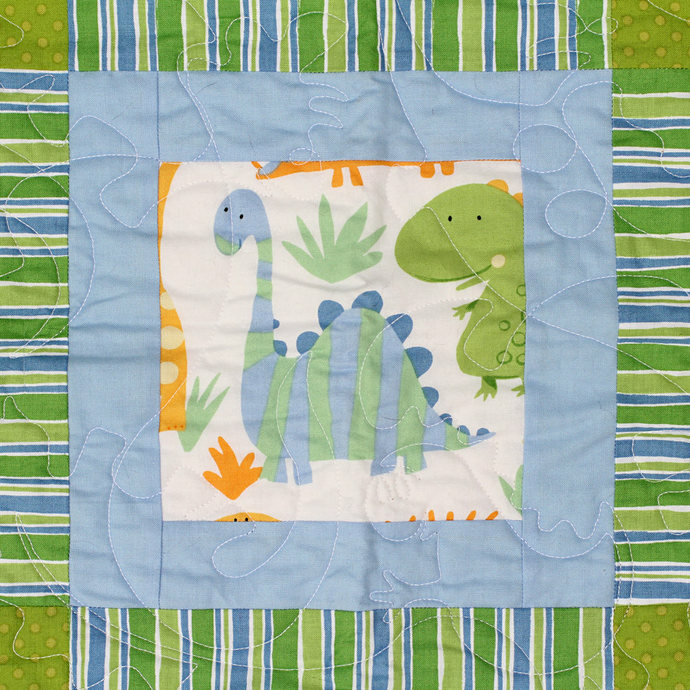 The backing fabric is a cute coordinating, allover small dinosaur print on white that is also from the "Oh Boy" collection. 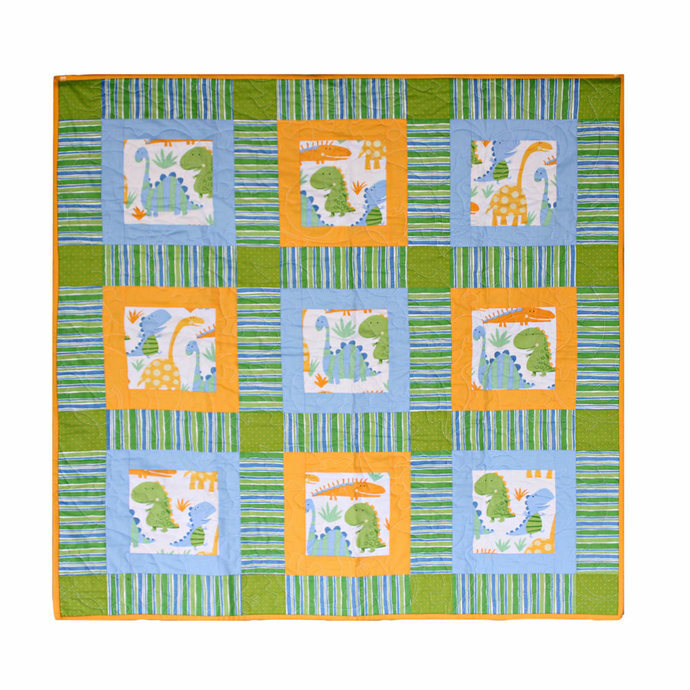 Quilt top and backing are made of 100% cotton fabric. Batting is Hobbs Heirloom® Premium 80/20 cotton blend (80% natural cotton and 20% fine polyester) batting. This batting offers more loft with less weight than traditional cotton batting. 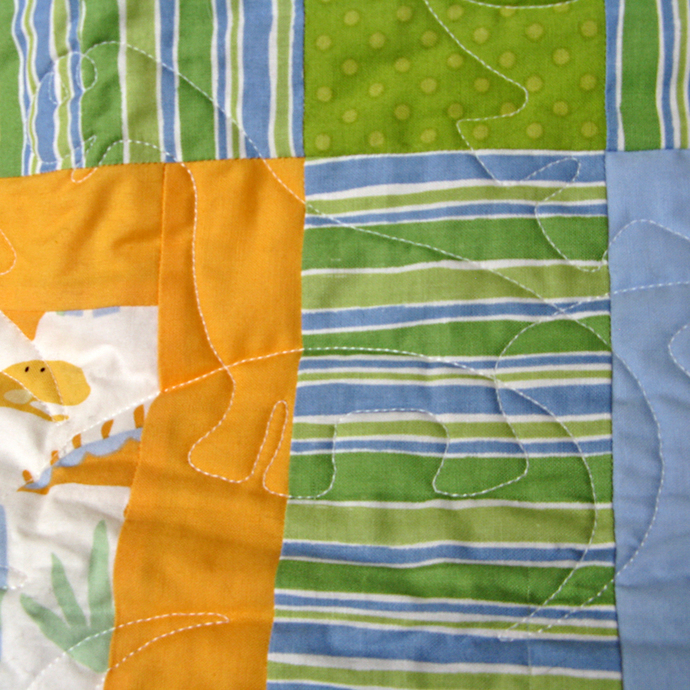 Professionally long-arm machine quilted with white thread in a dinosaur motif. 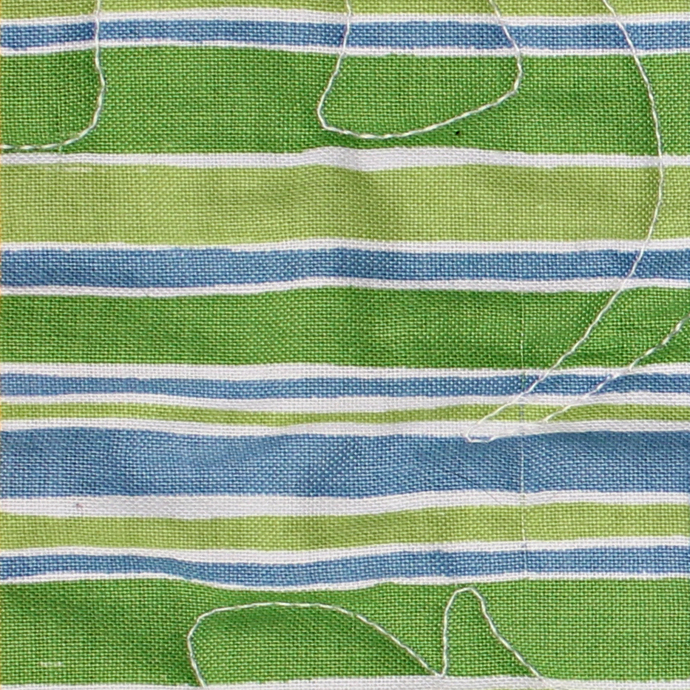 Striped green, blue, and white border. Solid binding in cheddar (gold) is double-folded for durability. 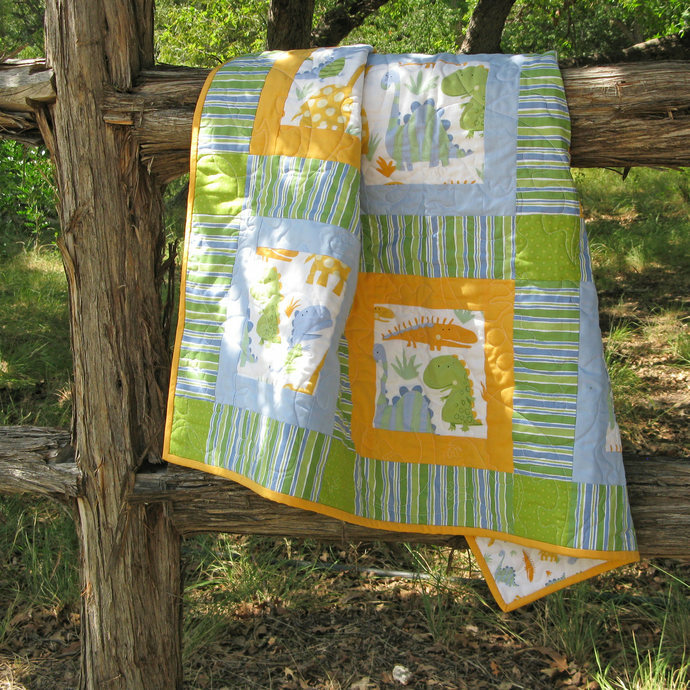 The binding has been machine-stitched to the front and hand sewn to the back. Machine or hand wash separately, delicate cycle, in cold water with mild detergent. Do not bleach. 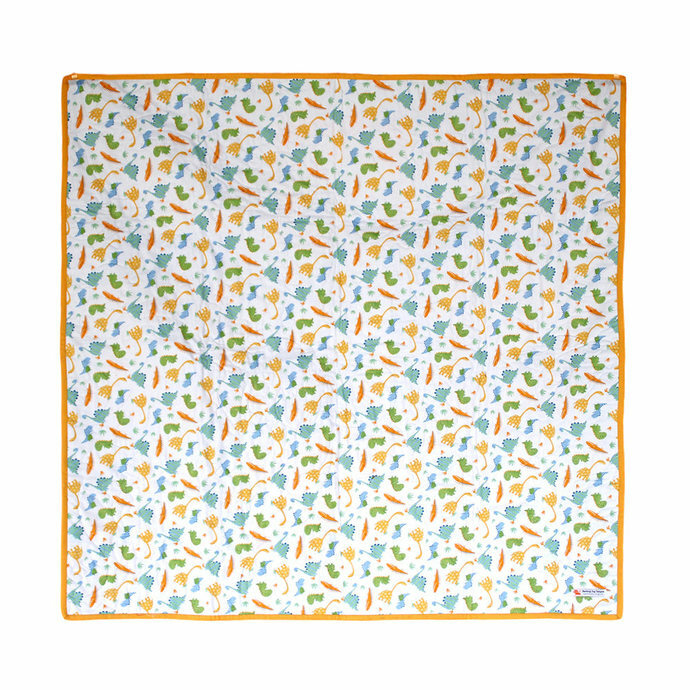 Line dry or tumble dry on low heat.